Today's the day that we've all been waiting for. For the last week broadsides have been fired across the Atlantic Ocean as we try to settle, once and for all, which is the better drink - tea, or coffee. Here, we are defending tea - after you've read this post, if you're still unsure in your mind, then go visit Life, Explained for the home of coffee supporters. So, Tim Clark challenged me to defend tea against the accusation that coffee is the better drink, which I strongly deny. I could talk about the history of tea, how it has been consumed for thousands of years (possibly as far back as around 2900BC? ), and certainly for a much longer time than the relative newcomer, coffee. But instead I'm going to bring it to a much more personal level. I'm going to talk about how tea makes me feel. Now, don't get me wrong, I like a posh coffee from Starbucks or Costa, and it is nice to enjoy a coffee now and again, with cream and a couple of lumps of sugar, perhaps a biscotti too. But the fact is that you basically add all these things to hide the taste of coffee, not to enhance it. Can you really taste that shot of espresso mixed in your pint of frothy flavoured milk, topped with cream and a dusting of chocolate? Tea, in comparison, is a lot simpler. A bag of best tea in some hot water, perhaps with a dash of milk to bring the flavour out, is all that's needed. Or you can make a drink of tea much more civilised. Afternoon tea with buttered hot scones, jam and would not be complete without a pot of tea, some fine China cups and a jug of milk. 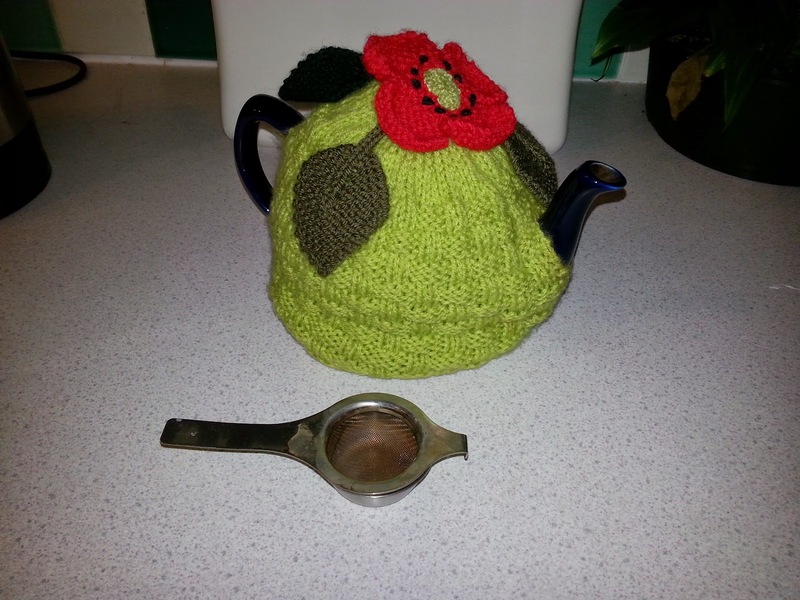 Not to mention a teapot and a tea strainer. You can't make coffee more civilised - you can make it trendy, but not civilised. Coffee is a quick fix. Something to kick your system into action and to wake you up. But let me ask you this - do you start your car with your accelerator pressed to the floor, getting up to speed as fast as you can? Of course not. You start it, and ease it into movement, gently and carefully. If you take this level of care with a lump of metal, surely you should do the same for your body? Tea is the best hot drink, and I've been pleased to see many people around the world supporting this view. I'd love to hear about any other blogs and their views about the best hot drink too. Now go and check out Tim's blog, and see if he can convince you of coffee's superiority. Like you, I enjoy an occasional coffee, but nothing, I repeat nothing, can compare to a cup of tea (in a China cup of course). National Days and... The December Challenge! The calm before the storm - 1 day to go!